The main wealth of the parish was founded on its salt and its agriculture. Until the storms of the1780s wiped out many of Milford’s salterns salt had contributed 28% of the total tithe of the parish. The yeomen farmers of the parish and backbone of the Vestry were the first to expand the salterns then they sold up to entrepreneurs who continued the expansion. Disaster struck in the 1780s and threequarters of Milford’s salterns were wiped out. 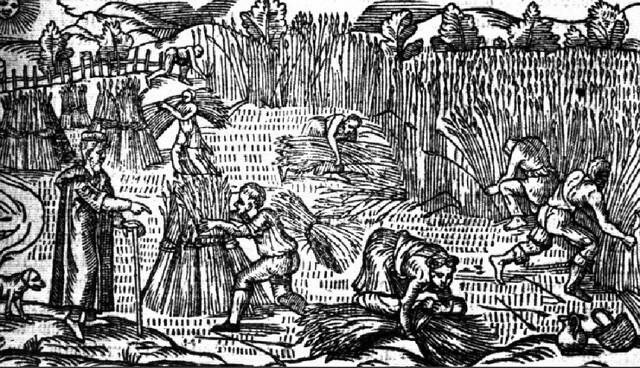 The farmers by 1801 were cultivating a fifth of the area of the parish largely to grain. The rest of the parish was pasture for their stock and horses, woodland for fuel or heath for summer grazing. To the east of the parish especially around Lymore, the earth also yielded up clay for brickmaking.